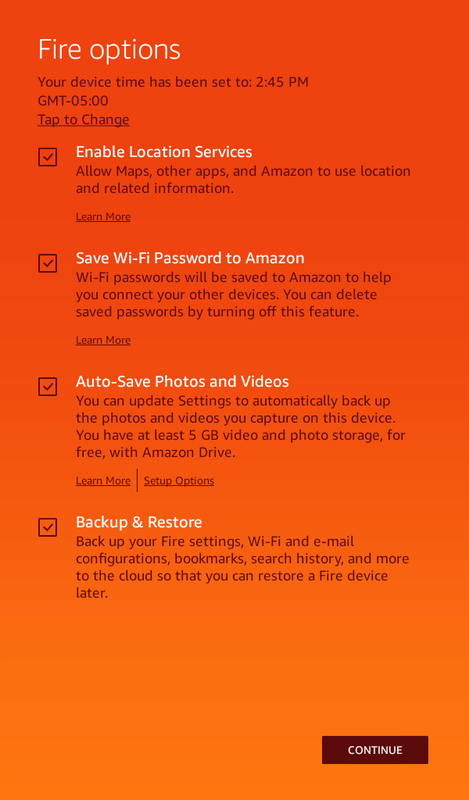 Step-by-step instructions for setting up your Amazon Fire Kids Tablet for use in Canada. 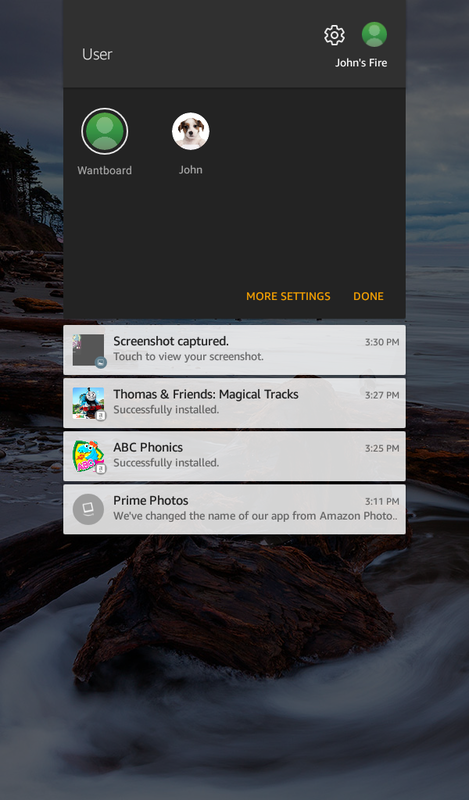 Setting up the Amazon Fire Kids Tablet for use in Canada takes a few extra steps because the tablet and Amazon FreeTime Unlimited are not officially supported in Canada. 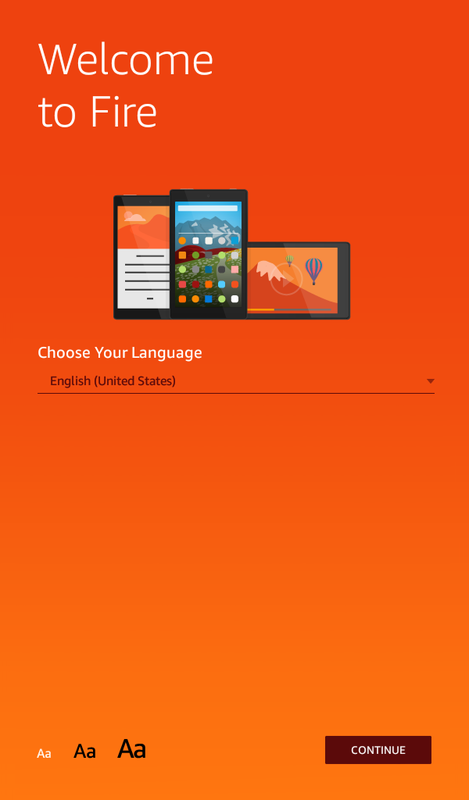 This guide provides step-by-step instructions for setting up your tablet for use in Canada. If you have any questions, please visit our FAQs for this item. If your questions aren't answered there, please feel free to email us at support@wantboard.com and we would be happy to assist you! Before setting up the Amazon Fire Kids Tablet, it is important to change your Amazon.ca Kindle account to an Amazon.com Kindle account. On your desktop/laptop computer, go to Amazon.com and sign in with your Amazon.ca account credentials. 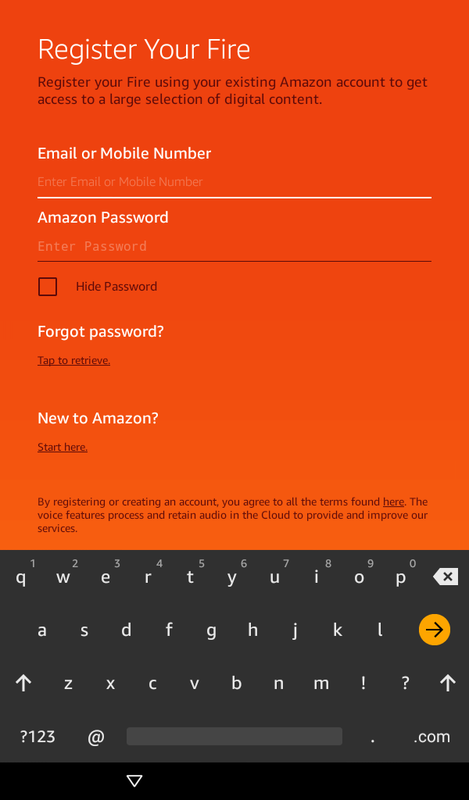 Go to Amazon.ca, and sign in again with your Amazon.ca account credentials. Go to "Manage Your Content and Devices" under "Your Account"
Under Country Settings, click on the "here" link. 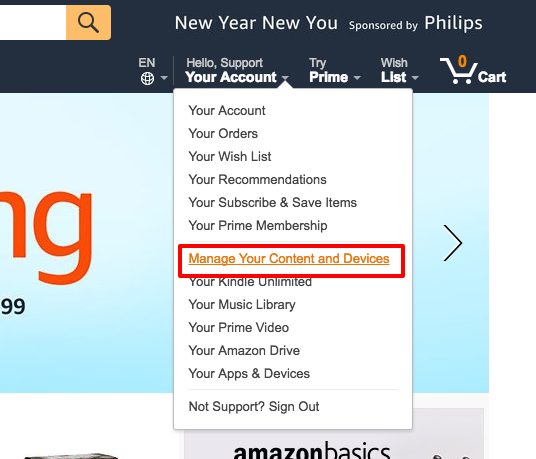 Click "Transfer your Kindle account to Amazon.com"
Step 8: Click "Continue to Manage Your Content and Devices"
Now that you've transferred your Kindle account over to an Amazon.com account, you can proceed with setting up your Amazon Fire Kids Tablet. Turn the power on and select your language. Enter your Amazon.ca account email and password and click on the yellow arrow to continue. 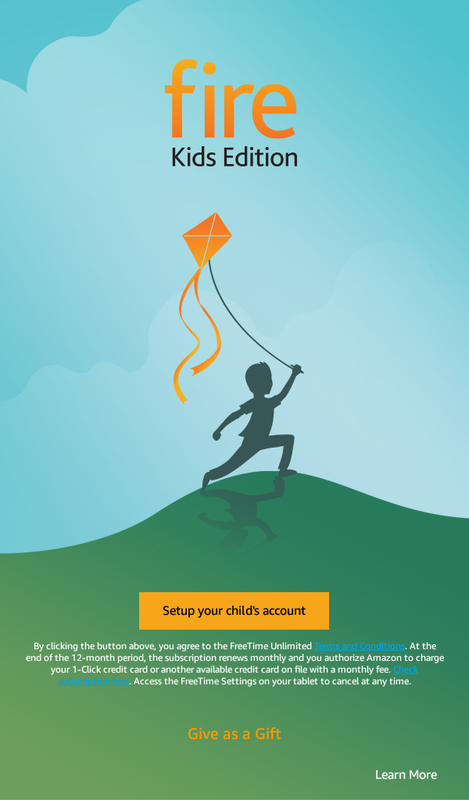 Click Setup your child's account. Fill in the details of your child profile, and then click Continue. To enable the kid-safe web browser, click Continue. 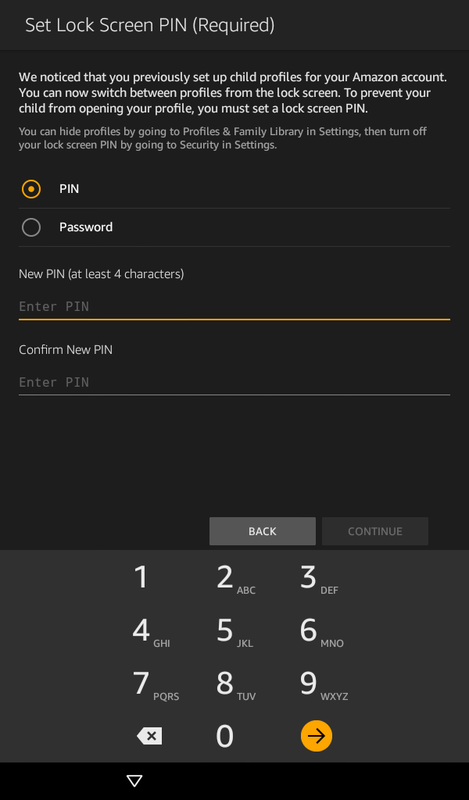 Create a password or PIN that prevents your child from accessing your (adult) profile. Your child's profile has been set up. 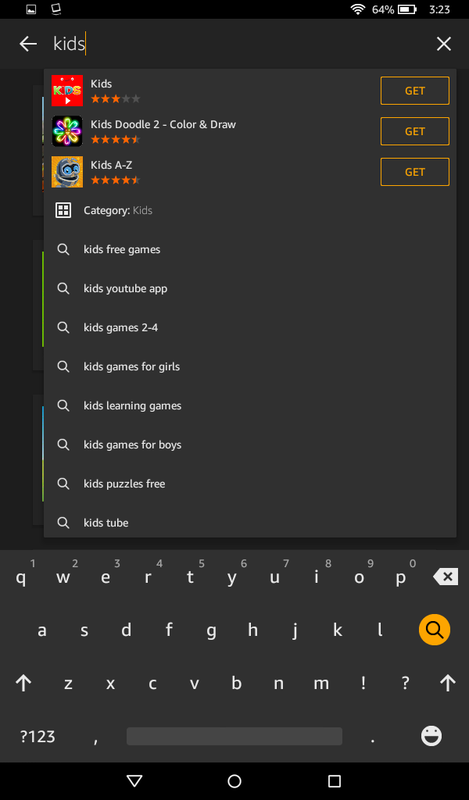 To add apps, click the Add Content link. 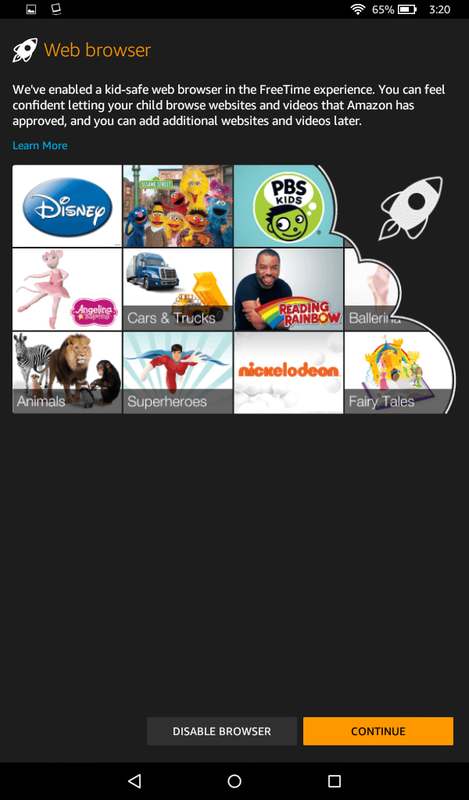 In the App Store, you can browse through apps for kids by clicking on the magnifying glass and typing kids. 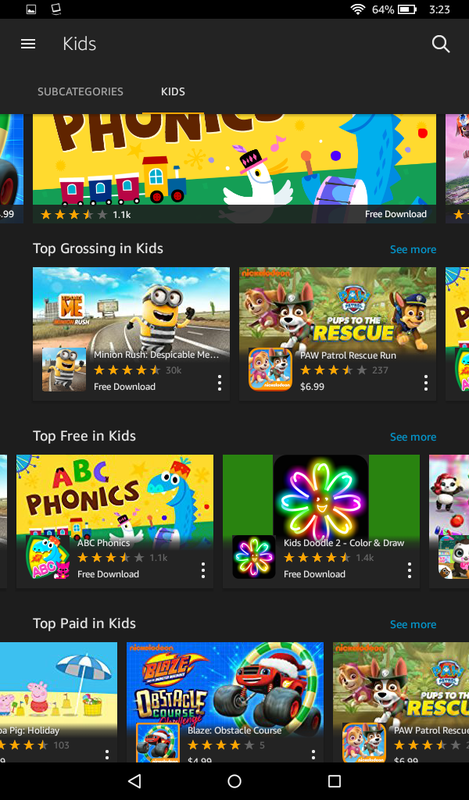 Download apps to include on your child's profile. 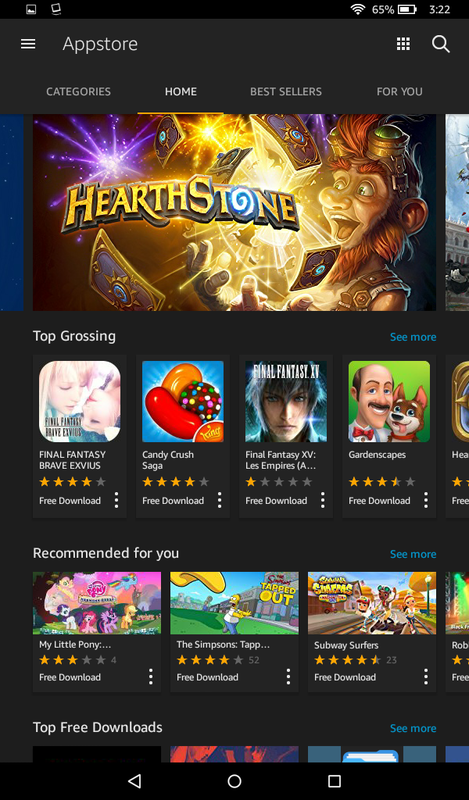 Note that some apps cost money and all prices shown are in USD. To add downloaded content to your child's profile, click the Settings icon, click Profiles & Family Library, and then click your child's profile. Click Add Content and then click Share Content to access the content that you have available for sharing. 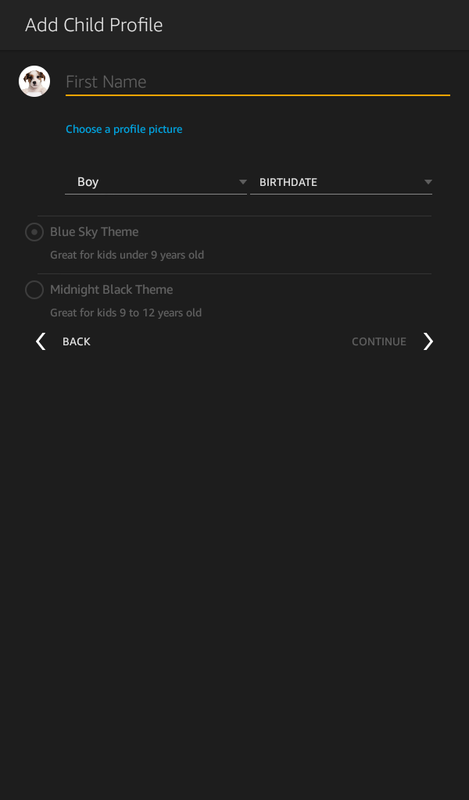 To add content, click each title that you want to add to your child's profile. Select the user you'd like to use. You can always switch between your profile and your child's profile by swiping down from the top of the screen to open the menu, and selecting the user you'd like to use. 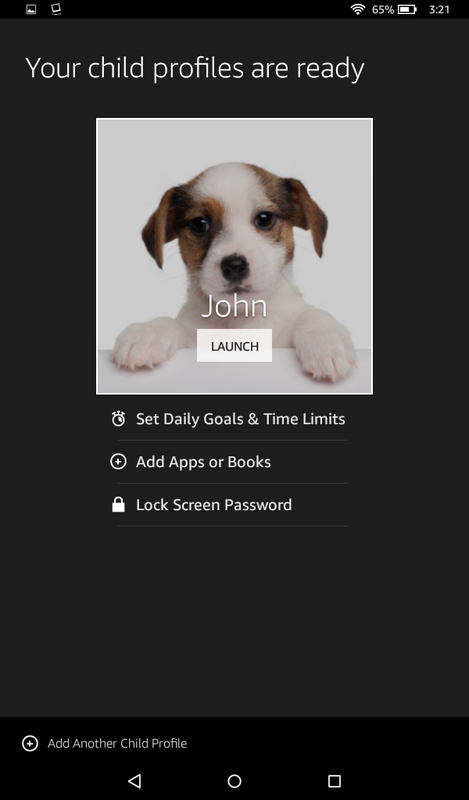 Switch to your child's profile to access downloaded content and available FreeTime Unlimited content.